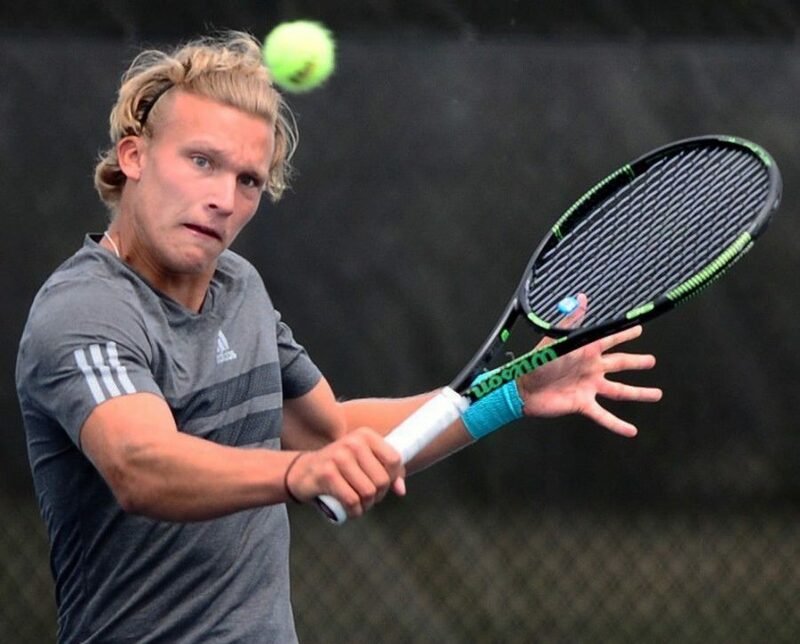 Santtu Leskinen (pictured above in this season's Georgia Tech Invitational) led the Seahawks to a 12-9 team record in 2016 to go along with his 11-8 singles record. To add to an ever-growing list of achievements and awards, Colonial Athletic Association Player of the Year Santtu Leskinen has been awarded an individual bid to the 2016 NCAA Men’s Tennis Championships. Fresh off completing his senior year at UNCW, Leskinen becomes just the fourth Seahawk to participate in the annual event, joining former players Rafael Aita, Kosta Blank, and Chris Cooprider. Leskinen was awarded an automatic bid as the CAA’s lone athlete in the Intercollegiate Tennis Association’s top-125 ranking. He is currently ranked No. 122. He came just one match shy of leading the Seahawks back to the NCAA Tournament last month. UNCW fell to the College of Charleston, 4-3, in the final round of the CAA Tournament on April 24. “What a great honor for Santtu and what an excellent way for him to finish his collegiate tennis career,” said UNCW Head Coach Mait DuBois to UNCW Athletic Communications. “He’s come such a long way in his four years with us and we’re very proud of him being selected. Leskinen led the Seahawks to a No. 67 ranking behind his 11-8 singles record in 2016. His consistency in the No. 1 match slot helped keep them steady through an up-and-down season that ended with a 12-9 record after a convincing CAA run. Despite his great senior campaign, he thought he was done after the Seahawks fell to Charleston. Then the NCAA came calling. In addition to making the championships, he was also named the ITA’s Most Improved Player for the Carolina Region in 2016, helping cap off his journey as a standout tennis player at the collegiate level. The NCAA Men’s Tennis Championships will take place on May 25-30 in Tulsa, Oklahoma. Leskinen will be one of 64 individual athletes vying for a national championship.